Tammy is a business banking relationship manager with over 22 years of financial industry experience. 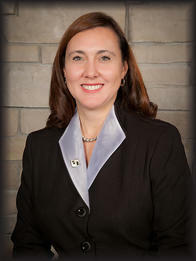 She began her career with Fifth Third Bank in 1996 as a consumer loan officer then moved into a financial center management position until 2006. During her years with Fifth Third, she has gained valuable experience in both the consumer and business end to end customer experience. This knowledge and her drive to put the customer at the center of everything she does has earned Tammy several awards for Customer Experience. Tammy graduated from Miami University in Oxford. She is a life-long Cincinnati resident., and currently lives in Loveland with her husband and two sons. Tammy keeps active in her community and enjoys coaching and volunteering for the local youth baseball board. She also serves on the board for the Little Miami River Chamber Alliance whose mission is to serve and promote small businesses in the area. In her free time, Tammy enjoys traveling to warm destinations and visiting her parents in Florida.